Promote the development and recognition of Amazigh textile crafts and show the global community the value is one of our motivations at Tashka.With this idea we start TASHKA.LAB / art and crafts project in Siroua-Morocco. 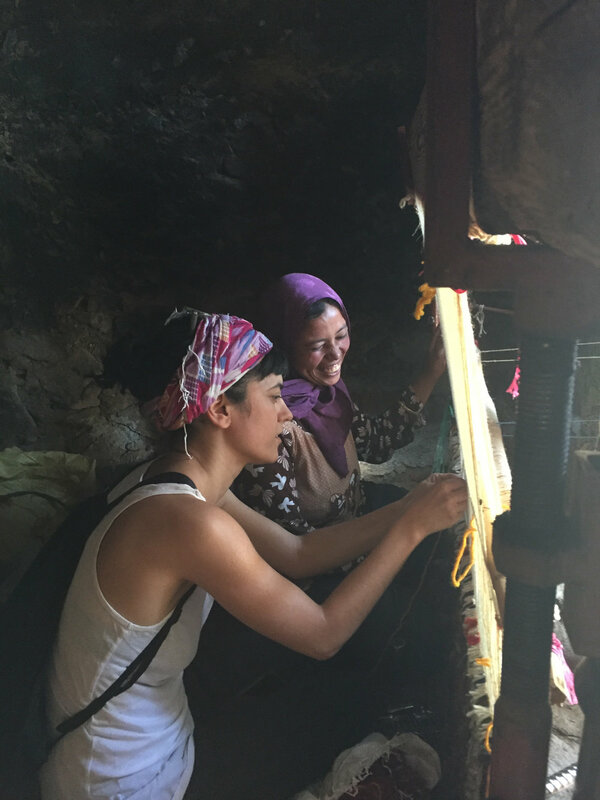 TASHKA.LAB is an artists residency customized to work together with Berber weaving craftswomen of the region while developing an artistic project. The goal of this project is not only to show the artistic value of these fabrics but to also encourage an authentic exchange where both parties are nurtured with the knowledge of the other ... Exchanging ideas on a personal, artistic and cultural level. Generate an artistic production space between artisan women and the resident artist through a process of social reflection and textile experimentation. We invite all interested artists to present a proposal for an artistic project related to traditional Amazigh weaving. We will review any proposal and project received and if it fits in our vision we will contact you to design a residence to maximize the possibilities of the stay. Welcome to Tashka. Thank you!